Synth Saturday! Jan 06, noon-6:00 PM. Ocean State Maker Mill is kicking off the new year with our January synthesizer meetup from noon until 6:00 PM on Saturday January 6 in Pawtucket, RI. Whether you’re an experienced electronic musician, or are just curious about what this whole ‘modular synthesis/Eurorack’ thing is about, this is the perfect chance to gather with fellow New England synth nerds. Attendees are encouraged to bring their own synths, modules and racks. Headphones are encouraged, but we’ll also have a PA system available for a wider audio experience. Anyone is welcome to perform — if you want to volunteer ahead of time, we’ll help publicize your performance! Ocean State Maker Mill is a membership-run organization with the mission of helping encourage the usage of arts, engineering, and science to help make ideas become reality. We provide a workshop for our members to build their dreams, and an educational space for the greater New England community to learn new skills. We are located at 80 Fountain Street in Pawtucket, RI. Learn with OSMM: Needlefelted Snowmen! Get into the Holiday spirit by needlefelting your very own snowman! Needlefelting is the process of using a barbed needle to interlock wool fibers, allowing creation of either 2 or 3D shapes. 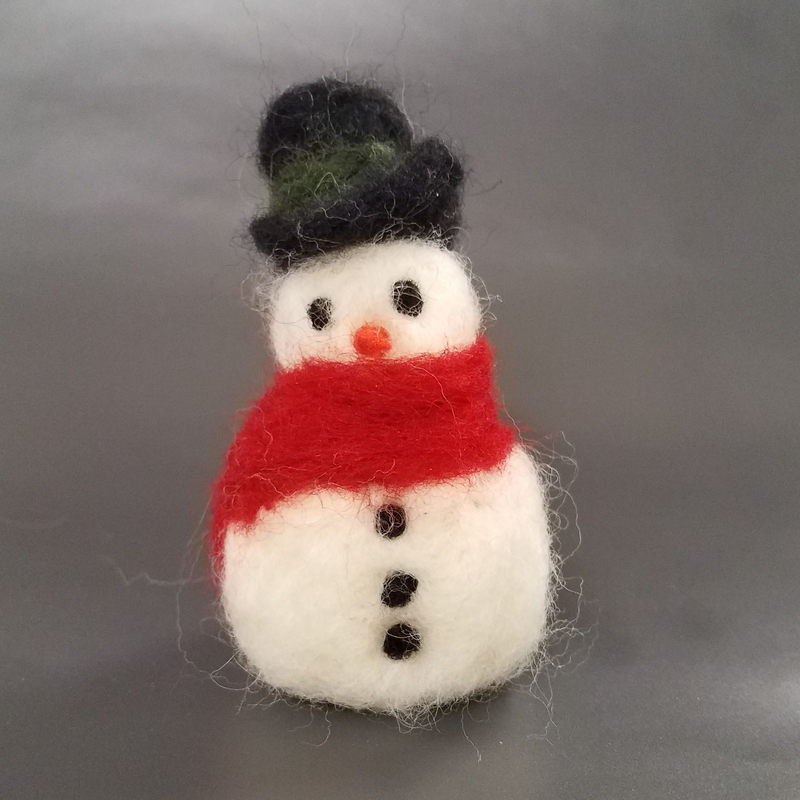 In this class, you’ll learn to needlefelt a snowman and some fun accessories. Ages 10 to adult are welcome for the class. The needles are very sharp – younger participants must have an adult present, and patience and an awareness of tool safety is important. Tickets are $10 per person in advance through Eventbrite, or $12 at the door.